As part of the Costa Rican tradition, afternoon coffee is consumed with bread sweet or salty. In this case I want to share this delicious recipe from the time of the grandmothers. The empanadas either sweet or savory is part of our culture as well as other activities we enjoy sharing with family and friends. 1 jar of guava jam 8.5 oz. 1. Creme sugar with the butter and add the egg slowly. 2. Mix water with vanilla extract and separate the flour with baking powder and add to creamed mixture alternating liquid and dry. 3. The dough is soft. 4. 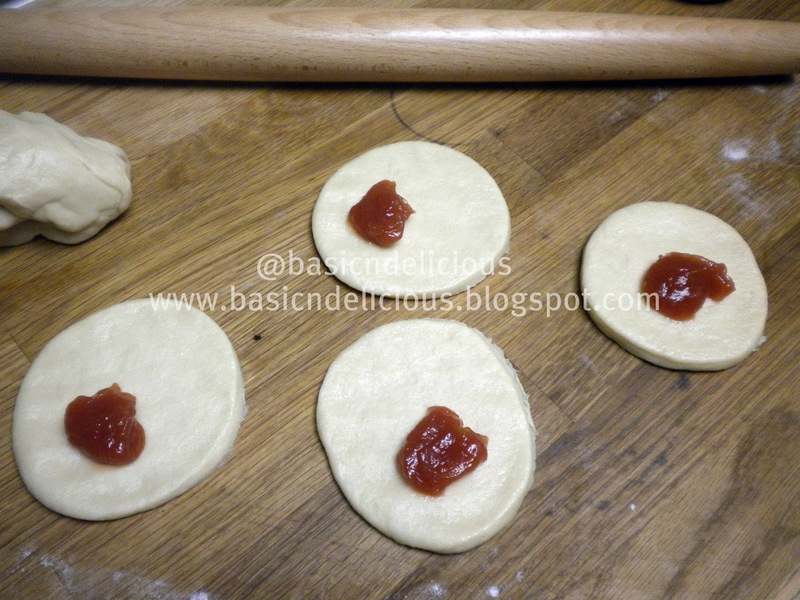 Place dough on a clean surface with a little flour knead and stretch to cut the circles and fill with a teaspoon of guava jam. 5. Close and coat with beaten egg and sprinkle with a little sugar. Place on a tray and bake at 325 degrees F (160 degrees C) for 25 minutes. 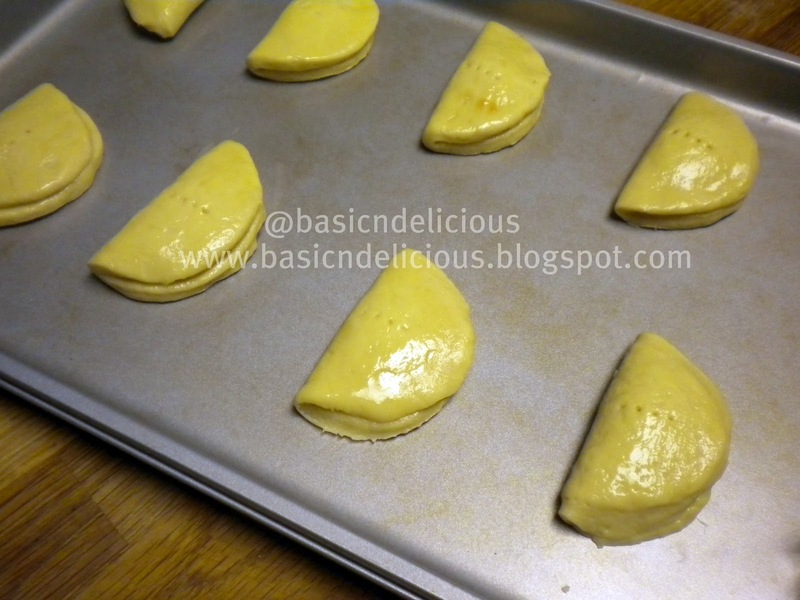 This recipe makes 22 empanadas. 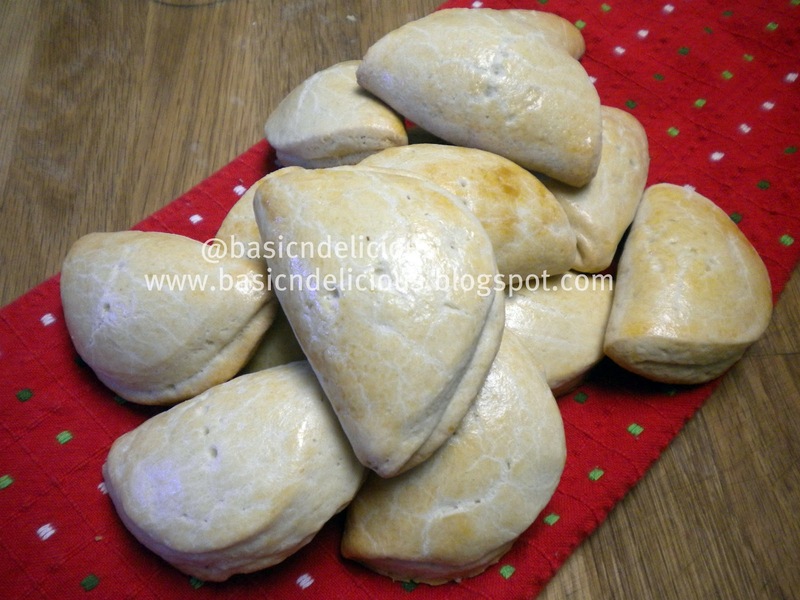 This entry was posted in Uncategorized and tagged baked, empanadas, guava by Kathia Rodriguez. Bookmark the permalink.